This has been a busy week craft-wise as I continue to manage my physical exertion levels to make sure that I don’t over-do it and make myself ill. I find it very difficult, but absolutely necessary to do this so I just have to make the best of it. Luckily, I love making things and I get a lot of satisfaction out of trying new things. My colleagues have ordered some memo-boards! Ordinarily I don’t make things to sell, but if anyone wants something particular, I will make it for them at cost price. This helps me to keep busy and keeps the cost of hand-made items down to a reasonable level. 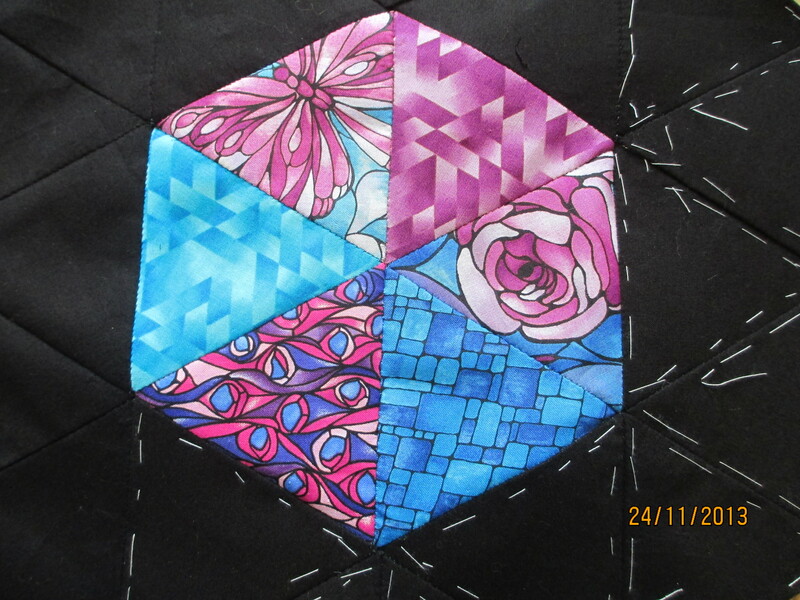 I managed to complete the quilt that I started last year, so that I only have the border, backing and binding to do now. 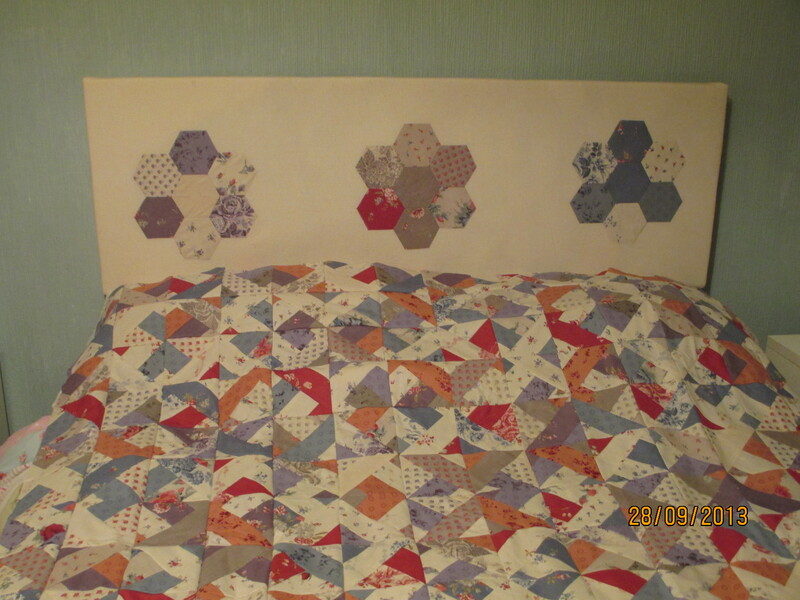 I also made a headboard to match out of a long picture canvass and hexagonal patchwork “flowers”. 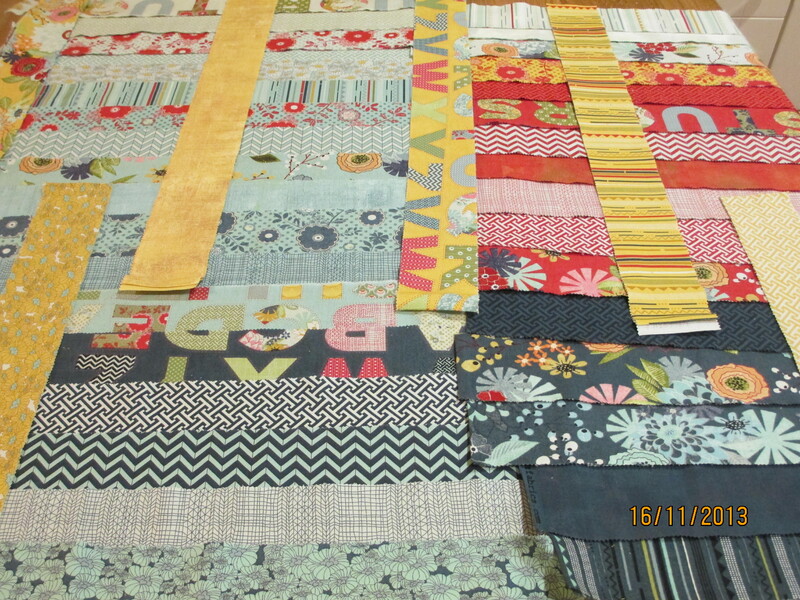 I am loving all this hand-made stuff-it’s right up my street and gives me great satisfaction when I see the end result. This week I also found the perfect boxes for the new shelf I bought a couple of weeks ago. The only problem was that they were the boxes which contained our tax legislation at work and needed some TLC to make them suitable for use as storage. 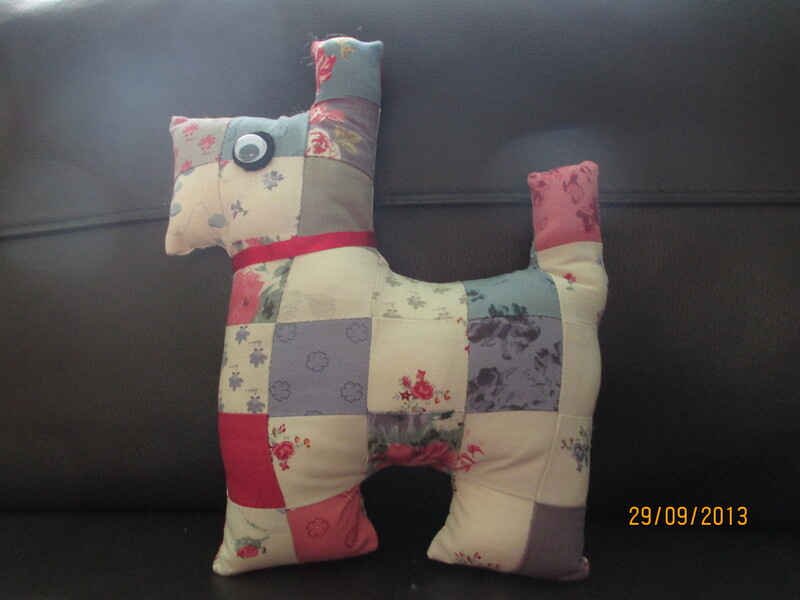 I have done some more odds and ends but my final “make” for the week was a Padstow Patchwork Puppy dog made from the scraps left over from my quilt. Never, ever throw away those little pieces left over, you can always find something to make! The dog is called Padstow as this is what the material bundle is called. 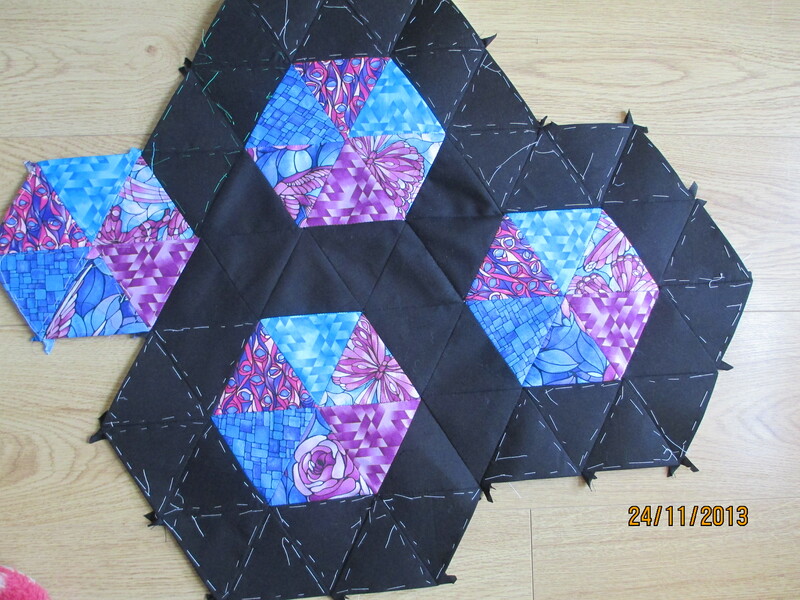 I used a Moda Jelly Roll to make my quilt and the Charm pack for the hexagonals and other bits and pieces. I guess when I look at my week I have been really productive, and I have also managed to go to work full time! Not bad for someone who is fighting ME/Chronic Fatigue and Depression. I am proud of what I have achieved and long may to continue to a full recovery.